Thursday evening our team arrived home from Russia very fatigued, but their reception at the arena by the fans has brought smiles on their faces. Our ladies deserved the celebration, because they have put an end to Kursk's 32 games long unbeaten record! It was a great performance, especially considering that in the last one and a half minutes of regulation the victory was in our hands already, however, the 11-point advantage proved insufficient. We didn't break despite that, we stayed mentally strong, and beat the world class line-up of Kursk by ten in overtime. No wonder we have been all over the European women's basketball news. We have given an outstanding performance on offense, as well as on defense, of which our opponents have had some positive comments, too. We have solidified our strong position in the group, and are still in competition for the third place. Next week Turkish side Hatay will come to Sopron, and then we close the regular season in Riga. The latter will for sure be a very important game. However, until then we are facing some tasks domestically as well, but we are already over the tough part here. We are leading the league with an unbeaten record after 16 rounds, and all of the teams behind us have at least four losses. 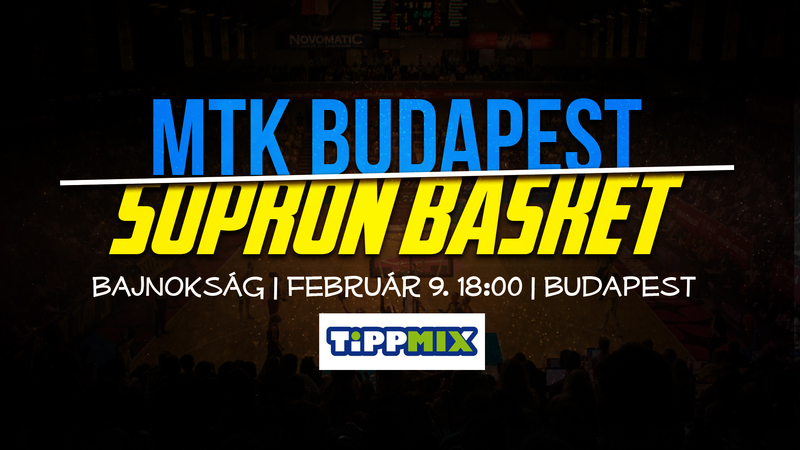 On Saturday we are playing on the home court of the team at the bottom of the page, MTK Budapest, who only have one victory so far, and whom we have beaten back at the beginning of November by 55 points. After Friday's practice we asked Vir�g Weninger about her expectations.